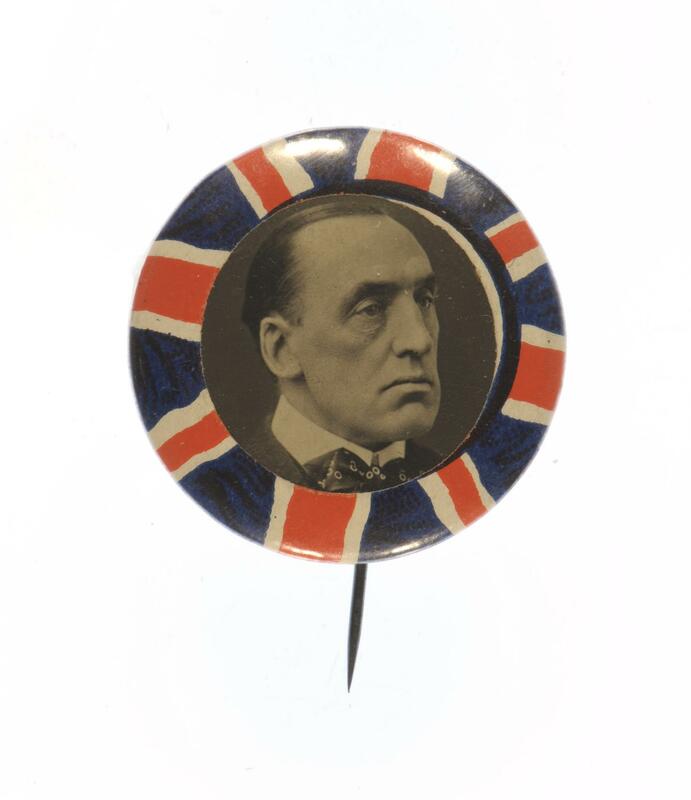 Badge with pin fastening of a portrait of Sir Edward Carson, with a red, white and blue border. Carson, born in Dublin in 1854, was an Irish barrister and unionist politician. He was leader of the Irish Unionist Alliance and Ulster Unionist Party between 1910 and 1921. Upon his death, in 1935, he was one of the few non-monarchs to receive a British state funeral.